This entry was posted on Wednesday, June 6th, 2018 at 7:40 pm	and is filed under book, Charles Cameron, jordan peterson, jung, psychology, Uncategorized. You can follow any responses to this entry through the RSS 2.0 feed. Both comments and pings are currently closed. Actual scientists and students of mythology say that what Jordan Peterson says is a bunch of garbage. And that’s all I’m gonna say here. Peterson is either a very deep thinker or a complete fraud. I’ve seen cogent arguments on both sides. I have his book and at some point I’ll be reading it. Which book? I have Maps of Meaning: The Architecture of Belief, but am only about 25 pages into it, and it’s a thick book. Oh Cheryl, I could draw tou a nice digram illustrating why some people would come away with that impression, and others would “see” quite the opposite. A skillful critic would make allowances for his approach, and note areas in which he’s likely to be insightful, provocative, or flat our wrong. He’s got a broad enough scope to have plenty of each, which makes him something of a Rorschach test for his readers.. I hope Lex and Tanner G will chime in. This is quantum morality: “Peterson is very insistent that each individual decision moves the entire world closer to either heaven or a bottomless hell.” Every decision creates a multiverse. Which universe do you want to live in? Nietzsche’s Eternal Recurrence is similar. It’s an attempt to answer: why be good if God is dead? I don’t feel adequate *(ha! see below! )* to comment on Peterson’s potential grand sweep political impact, and I’ve certainly had my share of “savior” heroes, from Blake and Christ via a guru and a shaman to membership in the Center for Millennial Studies at Boston U, so I’d better watch out for any symptoms of getting “swept up” — but there’s one passage in that piece which illustrates why I don’t feel at ease with this particular critique. If we have a “collective unconscious” there is a good chance that it would include our primitive assumptions about gender and biology. Transgender people violate those assumptions. In my relatively brief stint as an adjunct anthro prof, I spent time with the said Lakota shaman, and also did some related reading, and one of the conclusions I came to between the two of them was a sense that the shamans who had experienced the highest levels of vision were either gifted or obliged to transcend gender roles. So I think the writer is projecting current assumptions “back” to a visionary reality that he is not “adequate” in medieval terms to comprehend. Okay, okay, for this use of adequacy (“adaequatio”), see Maria Popova, or her source, EF Schumacher’s A Guide for the Perplexed. But I’m treading on uncertain ground, very much as Peterson sometimes does, and I’d best stop here. LOL As you might guess, gender roles and violating them is something I might know a little about. But, like you, I find myself treading in uncertain territory. I’m getting a crash course from the someone I love — love in a poetry, teacher-student, spiritual sort of way..
Let’s just go with muse. Cheryl, care to expand on what your actual scientists and students of mythology said or are you just attacking Peterson because you “might” get famous? I’d be interested too, Cheryl, though I appreciate it may feel like opening a whole can of worms that would require considerable research and formatting to present a satisfactory response from your side. I feel much the same way myself. More reading than I’ve managed in a month, then half a hundred points to ascertain or refresh myself on, then a ten to twenty page first draft, and careful culling down to a dozen pages plus footnotes. And I have other tasks, as I’m sure you do too.. In terms of a point-by-point comparison, I’ll just say that lobster behavior is a poor model for humans. The two species’ ancestry diverged a very, very long time ago. And there is a lot in Jung that is easy to cherrypick. Instead, I’ll give a counter-history. Back in the sixties, we knew that for women to have more opportunities, men would have to change too. Those changes could take some of the societal pressure off them and probably offer a better life in many ways. Women decided to change. Changing the legal system was demanding enough that we couldn’t do it all at once, and the participation from men in changing the world was minimal. So women have changed and men haven’t. On top of that, for the past thirty years or so a type of thinking has taken root that measures everything in monetary terms. Even if not by value in dollars, by methodologies that make everything look like a market. Taking one’s place in the world as one matures into an adult has always had its rough spots. I’ve long felt that we need more ceremonies to mark life’s milestones, which would include now-absent growing-up ceremonies that say “Now you have certain responsibilities and privileges.” That would be for women and men. We have a certain group of young men and a few older sympathizers who are very unhappy with today’s world. The world has moved from automatic white cis-het male privilege to a more equal treatment of people in other categories. That can feel like loss of privilege to those accustomed to having it all. So they are looking for ways to restore a world in which they have all the privilege. They have grown up with that market orientation, so they see women as commodities to be traded rather than humans as deserving of respect as themselves. Jordan Peterson tells them that they are correct and adds in some doubtful evolutionary psychology (the adjectives are redundant, but emphasis) and cherry-picked mythology for support. I’ve never seen numbers about those dissatified young men. I would like to see polls, if they exist. My own guess is that they are few in number and have always been around. I am working (slowly) on a post that shows that in America, anyway, their attitudes have been around for some time. Charles asks about the historical significance of Jordan Peterson. I think the most he can expect in fifty years is to be considered a hiccup on the cultural scene. I agree with Cheryl, to a point – I would definitely like to see those numbers as well. I will note that a large number of unengaged men, who have no hope, and little chance of finding a mate, usually has a bad outcome – one can find numerous historical examples of this. 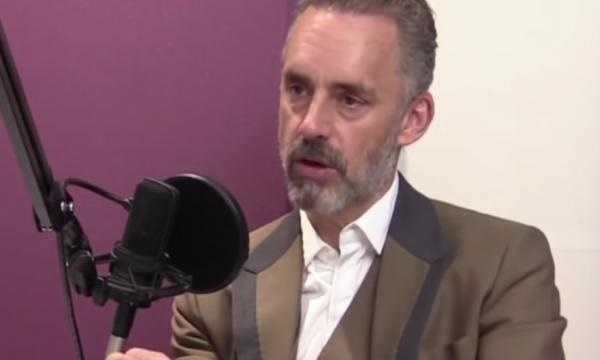 Unlike Jordan, I totally don’t agree with Peterson that “giving” them mates is the right answer, but for sure it’s a problem that needs addressed. Because sooner or later, no matter how small their numbers, they are going to find an outlet for their anger. That’s the trend that my upbringing has left me implacably opposed to. And I’m beginning to suspect Jordan P may present a particular variant on this position. But I frankly don’t have the energy at present to dig deep enough to hold a valid position by my own internal standards. I have rejected that approach since it started its climb in the 1970s-1980s. But many others didn’t. Some are starting to see how pernicious it is, but it now has a strong foothold. Yes, the “Free Market uber alles” philosophy has a lot to answer for, it’s true. Some women haven’t changed either if Ali Watkins is any indication. She followed the age-old playbook for fast-tracking her career. I doubt that playbook has a good historical outcome either. I don’t know a whole lot about Peterson aside from the few videos of his lectures that I have watched. What I think is this. Archetypes and traditions exist for a reason. Maybe the reasons are bad, maybe they are good, but most likely we don’t understand the full reason for why they are there. We know much less about the world than we have led ourselves to believe. Like that bisociation diagram Charles used to post. We live on one plane, and we can’t see the other plane(s) that intersects it to give life meaning. So we should proceed with caution and hesitation about ignoring the archetypes and dissolving those traditions.